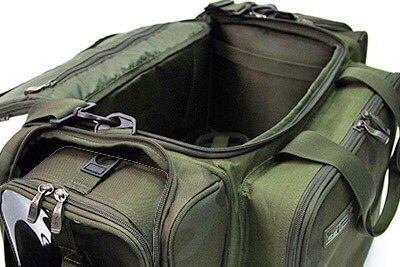 Available in 2 sizes, the SK-TEK carryalls are designed for the needs of modern anglers. They have a rigid free-standing design for easy access and HD waterproof base. The pockets have all been maximised to reduce wasted space and are sized to easily accept the modular Sonik Accessory bags. All the key wear areas have been reinforced for maximum durability.